After reading raving reviews, spotting Throne of Glass coloring books in stores, and having multiple people recommend the series to me, I finally decided to give Sarah J. Maas' most popular series a shot. 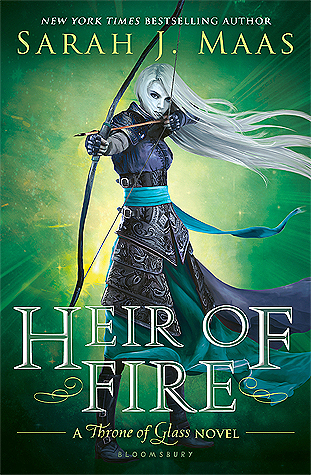 I read her other series and fell in love with A Court of Mist and Fury, so I figured it was about time I delved into Caelena's world to discover what all of the fuss was about. Caelena is your classic Katniss wannabe. I hate comparing heroines to each other, but honestly, I was scoffing at Caelena so often throughout the novel. She's packed with contradictions: she is not girly, but adores dresses and shopping. She's extremely athletic, but she'd rather read than run. She's beautiful, fierce, stubborn, kind, and basically every single attribute that can be given to a YA heroine. I kind of rolled my eyes as she checked every single box in the overdone YA badass. The story was entertaining, but nothing to write home about if you ask me. The YA heroine shows everyone else and is forced to battle for her freedom while she falls for two men. Yes, there's a love triangle, and it's not all that great. The one thing that kept me from really disliking the story was the end and the hint at an interesting back story. Maas wrote this book quite a long time ago, and I believe her writing has improved in more recent books I've read. Therefore, I'm clinging to the hope that this series will continue to improve as she expands upon interesting histories and politics. So, to sum it all up, I'm not the hugest fan of this series yet. However, I am willing to keep giving it a shot simply because everyone else seems to be so in love with it. Maybe the next book will impress me a little more. 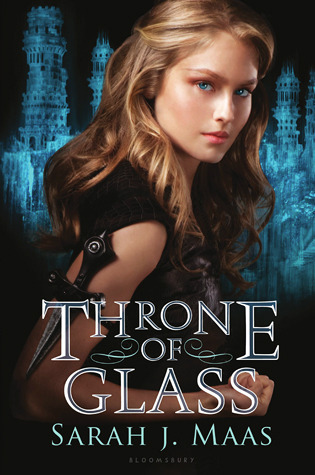 Definitely didn't hate Throne of Glass, but I really don't see what all of the fuss is about. Maybe the sequels are better? Can you guys attest to that?